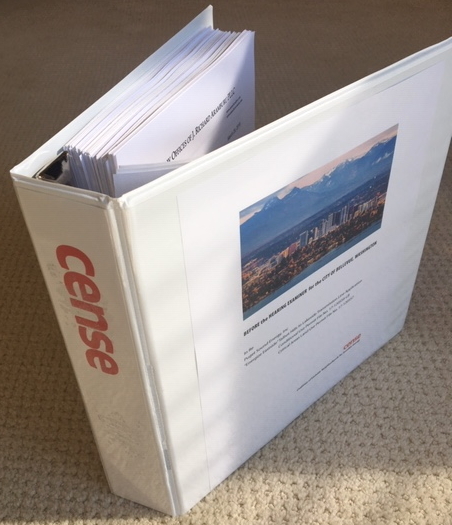 This is the notebook that CENSE compiled for the Public Hearing on Energize Eastside for the Bellevue south segment. More information is on our Hearing Information Page. Click on a title to download that section, or click here to download the entire notebook in a 50 MB zip file.